Saturday February 1st is the start of the open season for halibut fishing in BC waters. See the DFO regulations here. Local anglers are excited that the season has opened much earlier than in the past few years, back to the long-standing Feb 1st again -- thanks to all the people who have been working on the politics and conservation issues behind the scenes for this halibut fishery. Expect to see some photos of nice white flatties in the coming weeks! And most important of all, what to do with the fantastic fish once you've caught one? 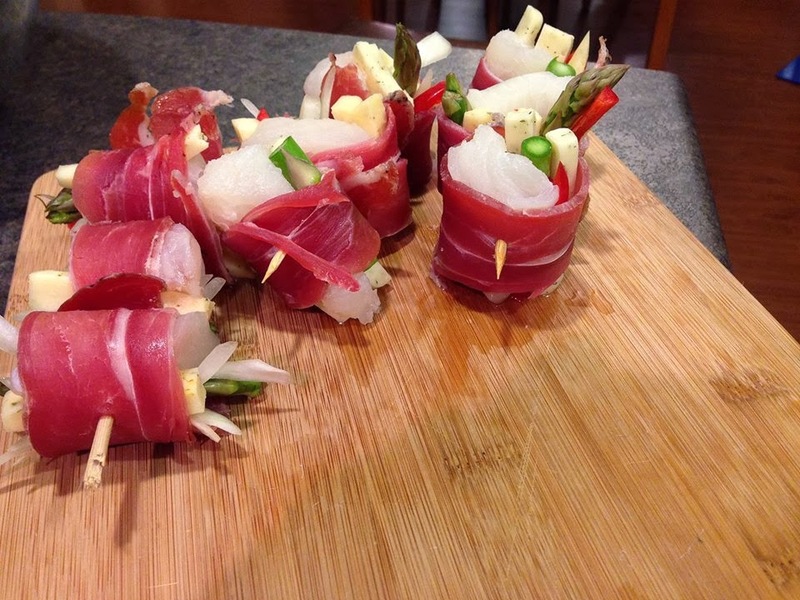 Ryan from Vancouver Island Lodge provides this awesome halibut recipe: "it is a chunk of halibut, with asparagus, onion, pepper and your choice of dill or jalapeno havarti cheese (large chunk), wrapped in Prosciutto. Throw a tooth pic through it, brush avocado oil and put on top tray in oven on a low broil til hali is just cooked and prosciutto will be crispy. Enjoy and Cheers!" See you on the water, have fun and be careful out there!